CT Junior Republic: Why Join The CJR Team? 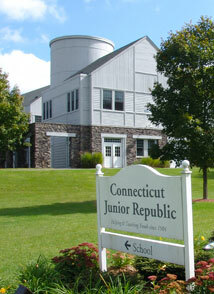 If your goal is to find a rewarding career with an organization that helps children and families; encourages advancement; promotes diversity; and rewards excellence, then please consider joining the staff team at the Connecticut Junior Republic (CJR). CJR provides a broad continuum of care at 11 locations throughout Connecticut, serving approximately 1,500 boys, girls, and families annually through a variety of residential, education, and community-based programs. CJR prides itself on offering competitive salaries, a comprehensive benefits package, an enjoyable working environment, and opportunities for career advancement. The Junior Republic is an Equal Opportunity Employer. A complete listing of current open positions may be found on CJR's Employment Opportunities page.